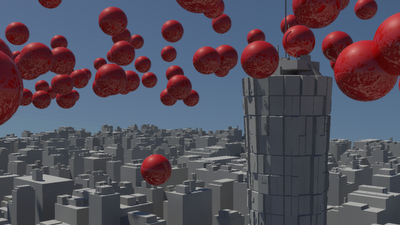 Once created move the balls up to a suitable distance to drop over the city – as pictured above. 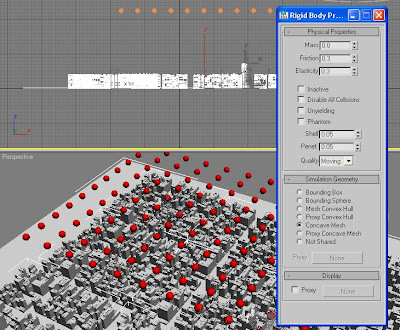 You have now set all the objects up as a rigid body, we now want to change the properties so the balls bounce around the scenery. 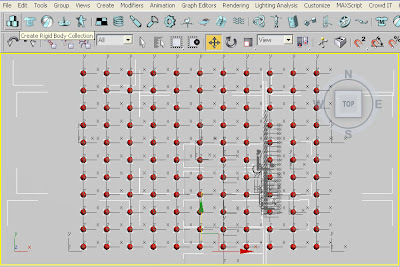 First of all select all the balls open the ‘Property Editor’ (notepad shaped icon, fourth from the left in the tool bar), we used the settings of Mass 1.0, Friction 0.1 and Elasticity 1.5, you can play around with these numbers to get any effect you require. Increasing the Mass and Elasticity makes the balls bounce higher with more energy. 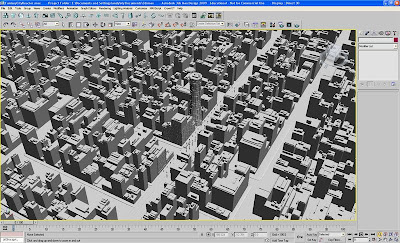 With the balls set up we now need to do the same with the scenery, select your cityscape and again open the ‘Property Editor’, set the ‘Simulation Geometry ‘to be a ‘Concave Mesh’. 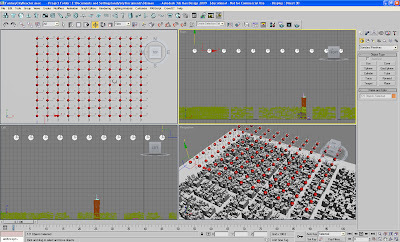 This will allow the balls to react to the buildings. 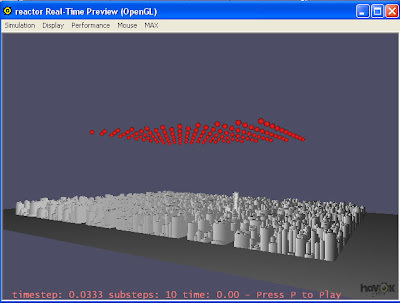 You are ready to go, to preview your scene press ‘P’, the simulation will run and a preview window will appear, you can now tweak your settings until you are happy. 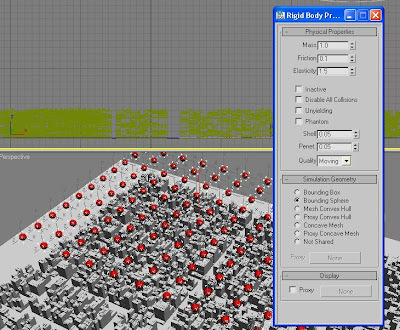 Once you are happy with the preview click ‘Create Animation’ to allow max to set the keyframes for each ball, we normally have our timeline set to 1000 frames. music’s cool, how do i get it? and lovely music’ I love it guy.